Epiphany is one of the most important festivals of the liturgical year because it shows the church how God comes to His people. Knowing that we cannot come to Him, God took the initiative and came to us by becoming one of us. The most holy and almighty God condescended to take on human flesh in order to reveal His salvation to the world. This is the mystery of the Epiphany of our Lord. 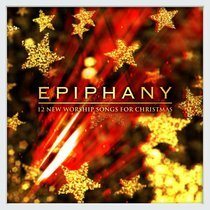 Featuring 12 brand new worship songs that celebrate the Christmas festival of Epiphany, this is a beautiful new album filled with awe, and the expression of thanksgiving and praise for God's great salvation for mankind through Jesus. Drawing on the talents of a number of established and new Christian songwriters, this album injects some freshness into the mix of Christmas songs, and will prove a valued resource for churches and worship groups as much as a treasured listening experience for Christian households this festive season.